I walked out of the bathroom stall, my eyes red from a much needed, whole body and soul cry. It wasn’t a cry from pain, or loss, it was a cry of awe and wonder mixed in with fear, my body feeling shaken yet alive. Having grown up catholic and leaving the church at 16, becoming an atheist for 17 years and then being on a soul search for something greater than myself since then, the word “God” was not something I used. To me God meant the God out there, in the sky, judging, condemning – it was man’s definition of God and I didn’t want to have anything to do with it. But something’s been shifting in me over the last few months. I’ve started to use the word God in conversations with others and it actually has a beautiful tone to it, and resonates in my heart. But even with that, when I started to have these experiences with God over the last few months, it was unnerving to some degree (you’ll find out why in a bit). So fast forward to just before crying in the bathroom stall and there I am listening to Caroline Myss (author, speaker and modern day mystic) at a workshop in New York on medical miracles. She’s telling the story of a news reporter wanting to interview a cloistered nun (a nun who lives within the convent walls without contact with the outside world, spending her time in prayer and contemplation for the greater good). After 4 years of asking and waiting to interview her, the nun finally agrees. They meet in the “box,” (like the catholic confessional boxes where you can’t see the face of the other person, just their profile). My heart stopped as I listened to every word. My jaw dropped to the floor and tears streamed down my face. Fast forward to the bathroom stall a few minutes later. Something was moving in me from this story. The pieces were coming together. I walked out from the bathroom stall and out into the sunshine, eyes wet, face covered in salt running onto my lips, and a big wad of toilet paper in my hand. I look out onto the big lawn during our break and notice Caroline standing there with a couple other ladies (she usually has about 50 people around her at the breaks). I felt moved to talk with her. Not knowing what I was going to say, I walked over, and in true Caroline, straight forward fashion, looks at me and says, “How can I help you dear?” (it’s not one of the warm and fuzzy tones, it’s very direct and ‘get to the point’ tones – which is what I love about her). I closed my eyes to listen in to what wanted to be said, opened my eyes and out comes, “I’m being called to God and I’m scared.” She looks at me squarely saying nothing, but nodding. I go on to say, “The cloistered nun story really touched me.” Her reply was, “Ya, those cloistered nun stories really get ya don’t they?” And we both laughed. She then took a breath and said, “Don’t bargain with God. Be humble, and don’t think you’re special.” I nodded in understanding, gave her a hug and walked away. I knew exactly what she was talking about because I had done both those things – bargaining and thinking I’m special (and not being humble). I know that’s not the path to walk with God, but my ego sure wanted it to be. You see, the fear was and is the ego not wanting to give up it’s belief in control and wanting to say, “look at ME!”. So each day my purpose is to align with God’s will, not my personal will. Each day it’s an effort because little i has her ingrained way of doing things. But each moment that I AM in alignment makes every effort worth it. (And as of now, I don’t see myself checking in to the convent any time soon). My passion, my calling, is for you to be totally you. Through private coaching, in-depth retreats, and online group coaching programs, I help you tap into your intuition and clarify your desires and vision, I guide you to take active steps toward making your desires a reality. Angela is a wonderful person to have in one’s life. She is a loving, supportive presence that has been very valuable. Angela is a pleasure to work with and the best cheerleader. She is willing to meet you where you are and sees no limit to your potential growth. At the same time, she’s able to be truthful, even when you’re denying your own truth, and make you examine it fully. I know there are plenty of apps and impersonal meditation resources out there but nothing compares to the power of working directly with Angela. I am feeling renewed, positive, focused, and self-empowered and am thankful for this journey. Through working with Angela, I am able to wait to react to situations until my initial emotional response has had time to cool. I am able to see actions and interactions from someone else’s perspective much more quickly and easily and to value that perspective instead of dismissing it. Deciding to work with Angela was one of the best things I ever did for myself. From finding celebrations each day to realizing that we have life habits that slowly need to be changed to fully loving ourselves and others unconditionally and everything in between, this program made an impact on my life. The biggest thing I learned from working with Angela is to listen to my anxiety and also to surrender. I’ve also learned that there are times to push forward and times to let go and let others help you. Prior to working with Angela 1-on-1, I was trying to fit myself into what I’d believed life “should” be, which left me lethargic and unhappy. My life now has a lot of positive and new, as a result of the clarity I developed while working with Angela. Together we uncovered what was true to me. Prior to working with Angela, I was feeling trapped in a job that didn’t suit me. I couldn’t make sense of my discontent, because I made good money, helped people, and had great coworkers — what was not to love? I was depressed and suffering from stomach issues, and my personal relationships were suffering. Angela came into my life just when I needed her, and she helped me to see that life isn’t about what I “should” be doing, but instead about what speaks to me. Her grace and compassion allowed me to give myself permission to follow my heart. Everyone deserves to work with you! Your work, your presence, your wisdom, your energy is amazing! You were a tremendous help in the beginning of my life transformation journey, and since I started working with you, even though in the beginning it was sooo uncomfortable (to feel my emotions), life has enfolded in a way I could never have imagined! Before I started the program, I was feeling a little lost and confused. Life was changing without my approval. I wasn’t sure what I needed to do or where I could go to figure it out. I just knew something wasn’t “right”, but, unsure of where to turn. After working with Angela, I see every day in a new light. Or, maybe I should say, with a new light. Angela opened my eyes to many things that I never imagined would help. It amazed me how I felt like things were starting to “change” after only a couple sessions. The program has really helped me to calm and stop the anxiety. It was a great investment in me. Before I started working with Angela I was feeling very insecure about myself, questioning life and whether I could trust myself in making important decisions. For years, I’d been searching for a program that not only spoke to me but worked. I tried several methods, including different types of therapy, exercise, books, and medication, and they certainly played a part in my change but they just weren’t enough. I knew that there had to be something different for me. When I committed to Angela’s program, I had real, tangible, long lasting changes. Now, when my mind goes to that insecure place I’m able to recognize it for what it is and either stop it in it’s tracks or work my way through it. I couldn’t be more happy. I was feeling stuck in my life, not sure of where I wanted to go, afraid of losing my marriage and not being able to raise my teenagers. After working with Angela, I’m now more confident, grounded, and happy than I have in my entire life. I am more trusting in the unknown. I feel more confident I am doing the right thing. I feel more able to be in the moment. I worry less about the future. My kids seem more relaxed. My marriage is more peaceful and enjoyable. I am more clear about my desires, and I am more able to take time for myself without guilt. I am trusting more than ever in my life, the power of a source greater than myself to guide me. Before working with Angela, despite my life being circumstantially “fine”‘ I was feeling “stuck” and living with a very guarded heart. While working together, I found myself more awake and alive and open to life and the people I love and truly care about it. I had been living in my head way too much. I now have a centerdness, a calmness and a way of mindfully responding to sometimes stressful situations instead of mindlessly reacting to them. Angela gave me the tools to live in a much more peaceful manner. Angela’s commitment to accept me and provide a supportive, open perspective helped me see that my mind kept me in patterns of fear. From our work together, I’m not so ingrained in those patterns. I’m feeling the confidence that has always been within me to step through fears and live the life I want. She has made a tremendous impact in my life. After taking the 1-on-1 program with Angela, I feel more at ease with myself. I am more open and patient with myself and with others. My life is different because I have learned the tools to become less reactive, more mindful and more loving with myself. Angela is truly a gift in the work she does. She holds space for you to work through things and is there to hold you accountable in a kind, gentle way. The 1-on-1 program has changed the way I view the world and my life! I am more connected to my heart and my intuition, and have more of a sense of possibility. I have more trust that things will work out. Angela made it possible for me to live more out of my intuition and truly savor each unfolding moment more than I ever have. Angela taught me such valuable tools for accessing my authentic and truest self. I’m remembering to breath more, pause more before I react, and, best of all, I’ve become more gentle with myself. What a gift to the soul! With Angela’s caring guidance, I was able to become more aware of my feelings and where they were in my body. I am now able to listen to and trust my intuition and take action when it aligns with my true self. I have a clear sense of vision for my next career and am taking steps toward this vision with the attitude of imperfect action. After working with Angela, I’m happy to be me as I am now, and so curious about others as they are at that moment as well. I experience so much less stress and so much more joy! 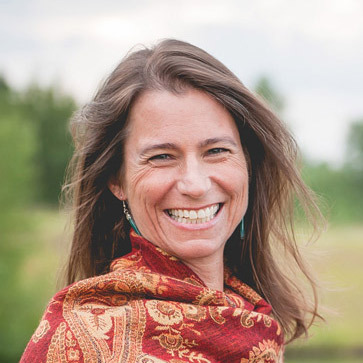 Angela reintroduced me to meditation, journaling, and just being present. She showed me how asking “what is true” can lead to clarity. Now I am able to come from a more peaceful and grounded place. Angela helped me to see my belief of not feeling worthy, and provided me with the tools to dissolve this belief. By becoming aware of how this belief caused my actions and reactions, I am finally able to own my decisions without feeling inhibited by what others might think. 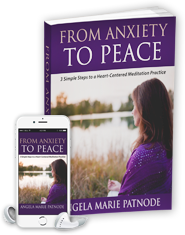 Angela’s guidance and encouragement in the practice of meditation has been paramount in this journey towards inner peace and self-acceptance. As reflected in her name, Angela has given me wings, for which I am forever grateful. Angela is a beautiful person and inspiring and supportive coach. I feel more peaceful, more connected to myself. My purpose is gradually unfolding and I continue to invite and embrace more fun and intuition into my days. In her 1-on-1 program, Angela suggested practical, intuitively-based assignments to help me stimulate my own intuition and remember the love for others that I had long ago buried. My sense of zeal in the spiritual adventure has been awakened. After working with Angela, I have opened up to the idea of pursuing my passions, finding the courage to leave my job to take one that more closely aligns with what I want to do with my life. Before working with Angela, I had entered a prolonged period where I felt like I had lost control of my life and that I was racing from minute to minute and day to day just to accomplish my work. Because I was under considerable stress from a demanding career, I didn’t have any energy left for my children, wife, or friends. And most importantly, my own physical and mental health were suffering and I was becoming perpetually irritable and unhappy. Angela provided me with a number of tools to help me transition out of a feeling of helplessness and provided a safe environment for me to discuss how I was feeling, allowing me to re-establish my life priorities. Daily meditation especially has had a profound positive effect. Since beginning with Angela, it has increased from 5 to nearly 30 minutes a day and the resulting inner peace and calm I have felt with introducing the practice into my life is nothing short of miraculous. The most important change is that I feel more relaxed and in control of my life. I have learned to set boundaries with my work so that I can spend meaningful (and stress free) time with my family and with myself. I continue to meditate on a daily basis and I use this time to focus on my mental health. I have learned to slow down and enjoy each passing day.